Since most game systems output the composite sync information along with the video output, and since most RGB monitors will not accept this extraneous info along with the sync, we need to remove the video signal. The Sync Strike does an admirable job of this. After SLG3000 we proudly present Sync Strike. The need of Sync Strike like device was stated often in the comunity. Find here the discussion thread for cga2vga scaler and Sync Strike. 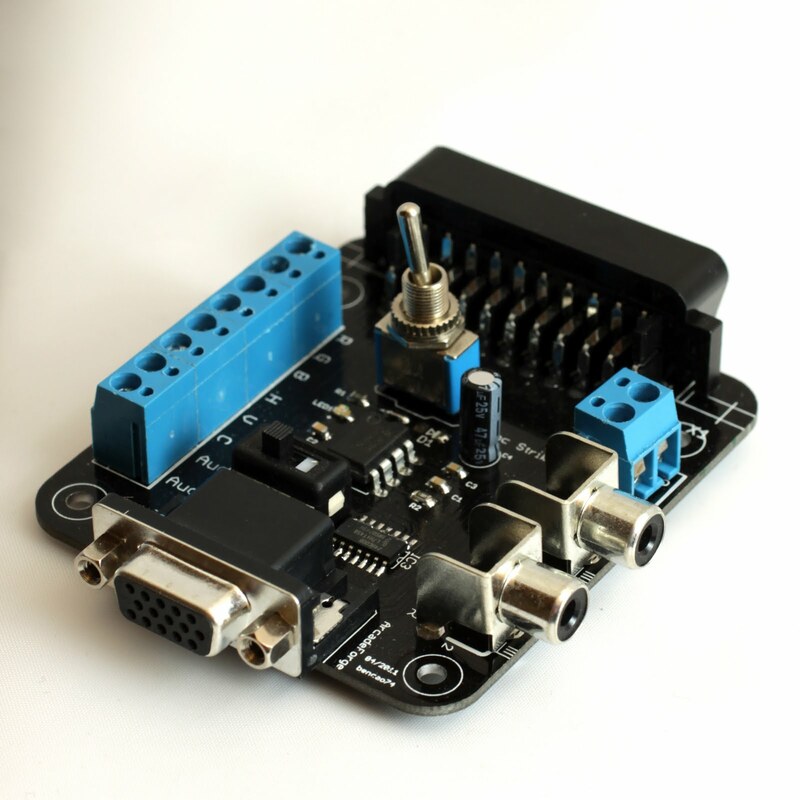 Goal of Sync Strike is a simple Plug and Play solution for connecting scaler or other devices via RGB Scart. 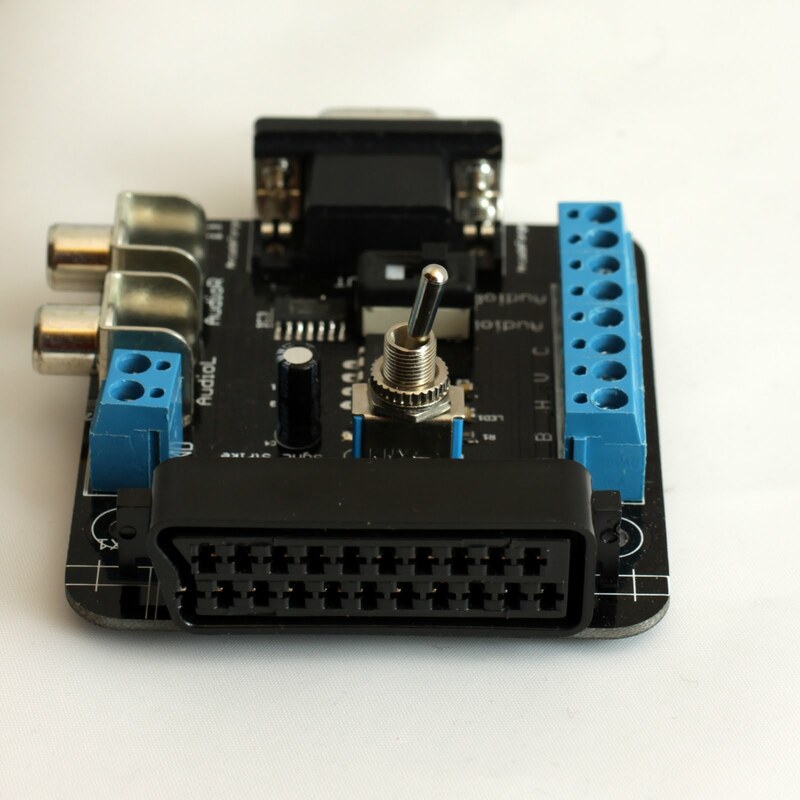 Background to this project came about by the requirement to have a device that was able to convert a composite video signal from a SCART RGB source, primarily to a composite sync signal (CSYNC). This was to enable a retro RGB SCART device to be hooked up to a CGA2VGA scaler. The cut a long story short, enable a retro console to be displayed on a current gen screen. Optional PSU is working 110-220V, 50-60Hz. International buyers outside EU need a mechanical connector adapter. This unit needs 5V regulated with at least 0.5A. This Product was added to our catalogue on Monday 08 August, 2011.